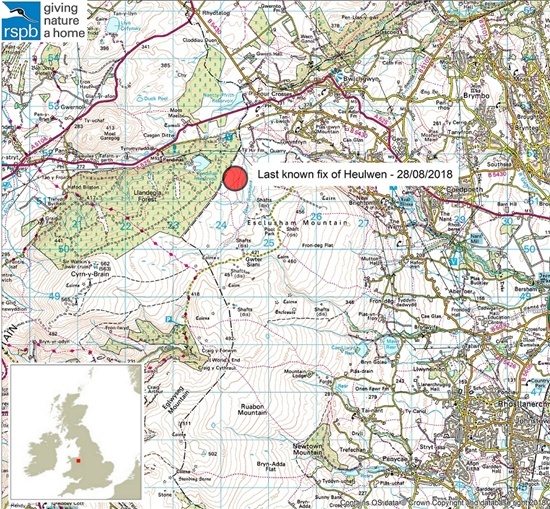 An appeal for information and potential sightings has been launched following the disappearance of a satellite-tagged hen harrier near Wrexham. The RSPB say Heulwen, who was born on a nest in the Gwynedd area, is amongst three across the country to have gone missing in recent week. After she left her nest, Heulwen travelled through north Wales, across Snowdonia and eastwards towards Wrexham. Her satellite was transmitting regularly until it suddenly and inexplicably stopped. 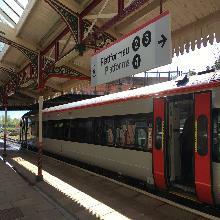 Her last known fix on 29th August show she was within the vicinity of Ruabon Mountain. Satellite tagging technology is commonly used to follow the movements of birds and tags continue to transmit regularly, even when the bird dies, and until the tag reaches the end of its lifespan. The tags were all providing regular updates on the bird’s locations, so the sudden and unexpected ending of transmissions is suspicious and could suggest criminal interference. Hen harriers are one of the UK’s rarest birds of prey with only nine successful nests recorded in England in 2018 despite sufficient habitat for over 300 pairs. It is widely understood that the main reason for their low numbers is illegal killing associated with intensive management of driven grouse moors. 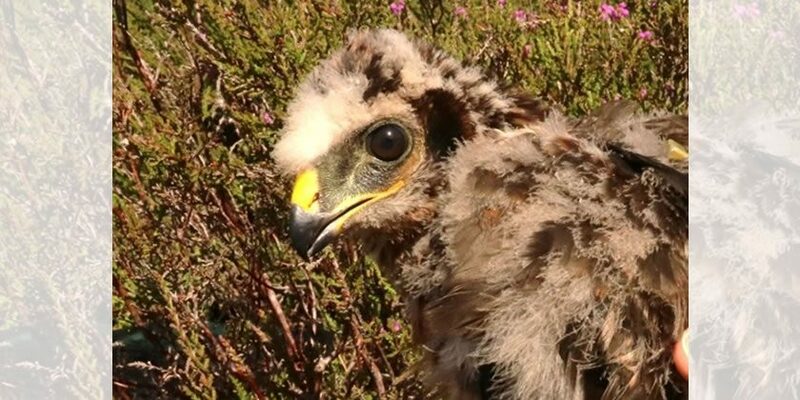 Dr. Cathleen Thomas, project manager for the RSPB’s Hen Harrier LIFE project said: “Just a few weeks ago we were celebrating the breeding success of hen harriers in the UK, but already these young chicks are disappearing in suspicious circumstances when they are just a few months old. “It’s devastating for those of us involved in watching and protecting these chicks and terrible news for a birds of prey species that is continuing to decline. If anyone has any information about the disappearance contact the police on 101 – or alternatively call the RSPB’s confidential Raptor Crime Hotline 0300 999 0101.